The act of sitting together as a family and watching a favorite movie can be a comforting family ritual. Here are twelve favorites that could start a year-long family tradition! 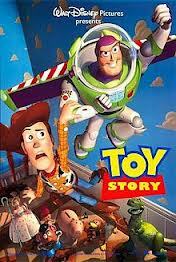 January: Toy Story (1995) – Kids will love the thought of their beloved toys coming to life when their backs are turned. This theme shows up in other movies (Pinnochio, The Christmas Toy, and (kind of) Wreck-It Ralph all come to mind), but Toy Story does it very well. Kids might resonate with Woody, a cowboy who feels a bit displaced by a new toy, Buzz Lightyear. They’ll cringe when a neighborhood bully takes out his frustrations on other toys. And hey, watching this together right after Christmas could probably spawn some new imaginative play with toys they’ve forgotten about. 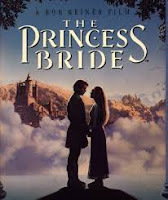 February: The Princess Bride (1987) – Is there a better Valentine’s Day movie than this one? Girls will love Buttercup (I’ve been a groomsman in two different weddings where the bride wore a Buttercup dress!) Boys might groan with Fred Savage at it being “a kissing movie,” but they’ll appreciate the swordplay. And honestly, Vizzini (“Inconceivable!”) and Fezzik (“Anybody want a peanut?”) might be even cooler than the leading characters. Just make sure your little ones can handle the Fire Swamp, the Rodents of Unusual Size and the Pit of Despair. 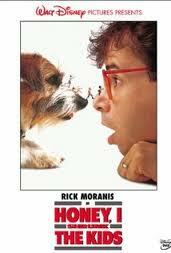 March: Honey, I Shrunk the Kids (1989) – Why not inspire some Spring-Break outdoor play by watching kids get shrunk to sub-ant size! Your backyard might take on a whole new mystique after watching this film together. April: The Sandlot (1993) – Celebrate Baseball’s opening day with this story of childhood in the 1960’s. Kids will relate to teasing but might be inspired by Benny, who sticks up for the bullied Smalls. 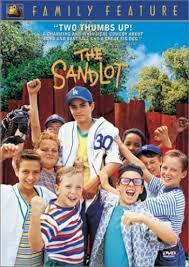 After watching this movie, why not head outside for your own neighborhood game of pick-up baseball. May: The Lion King (1994) – Simba overcomes a lot of losses in this film, but kids will probably most remember Timon and Pumbaa’s catchy song, “Hakuna Matata.” The Lion King is a classic, with beautifully animated scenery, plenty of laughs, and memorable songs. It’s worth another look! 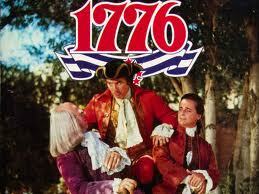 July: 1776 (1972) – Celebrate the Fourth of July with a musical look at America’s founding. Bonus points: William Daniels stars as John Adams, so if you want to introduce your kids to Boy Meets World (where he’s Mr. Feeny) or Knight Rider (where he’s the voice of the car), this might be your way in. Catchy, happy, and comfortable songs make this one a joy to watch – although it’s a bit long, so it might be best to spread it over two viewings. 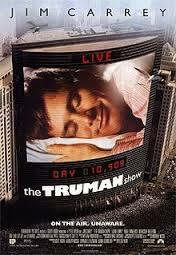 August: The Truman Show (1998) – Jim Carrey’s character has lived his whole life on television, but doesn’t realize it. Reality TV has become way more common in the 15 years since this film was released, but kids will still get it. After watching it, why not imagine a show about your family! Your kid can be the director! 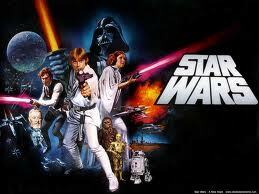 September: Star Wars (1977) – I mean the original one. New Star Wars movies are (still) going to be coming out, but why not let your kid relive the movies that you fell in love with. The benefit to Episode IV: No CGI, and no Jar-Jar. Get ready for light-saber fights. 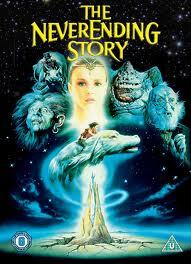 October: The Never-Ending Story (1984) – Why not have a Good Luck Dragon, or a Bastian, or an Atreyu or a Childlike Empress this Halloween? This German-American film suggests that your imagination isn’t necessarily all that imaginary. Bastian saves an imaginary world by investing himself in it. Atreyu believes in himself to overcome fearful circumstances. The Childlike Empress – well, she basically just carries everyone’s expectations on her shoulders. 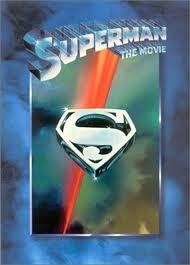 And the theme song is some pretty catchy 80’s synth. 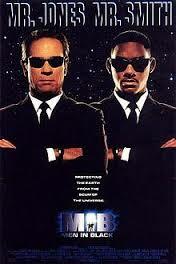 November: Men in Black (1997) – Maybe this one should have been the Halloween choice. I mean – black suits, ties, and shades, and you’re set to go. Your kids might like this sci-fi, extraterrestrial-filled comedy. Or, maybe they’d prefer ET. Your call. December: A Christmas Story (1983) – You’ll put your eye out with that thing! A Christmas Story might be right up there with The Princess Bride in terms of memorable moments. Why not relive this one together. But maybe wait until after you’ve already finished your gift shopping. Otherwise you might end up having to buy a BB gun, too. Those were my twelve picks --- What movies would be on your list? I have not seen a few of these, but all the ones that you listed that I have seen are excellent choices! Thanks Rachel! Which ones haven't you seen yet :)? All great choices! We love the Princess Bride. A family favorite! "Fezzik, are there rocks ahead?" "If there are, we'll all be dead." "No more rhyming, and I mean it."